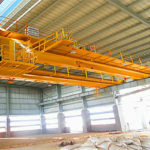 The single girder overhead crane is more and more widely used in the market. It is mainly composed of lifting mechanism, crab and trolley travelling mechanism and other components. The characteristics of the bridge cranes are that the objects hanging on the hook or other picking device can be vertically lifted or horizontally moved in extra space. Relying on the coordinated actions of these institutions, heavy or light objects can be lifted and transported in the certain space. Moreover, single girder bridge cranes are widely used in factories, indoor and outdoor warehouses, docks and open storage yards. The bridge cranes can be divided into two kinds of single beam type and double beam type. The single girder bridge crane usually use I-section steel or combination section of steel type and steel plate. Lifting trolleys are often assembled with chain hoists, electric hoists or hoists as parts of lifting mechanisms. Bridge cranes are mainly powered by electricity and are generally operated in the driver’s cabin. If the customers want to adopt other safety operation, you can choose remote controlling. 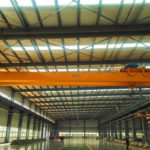 Compared with other single beam overhead cranes, the LD model has two particularly prominent features in reasonable structure and rigid steel as a whole. 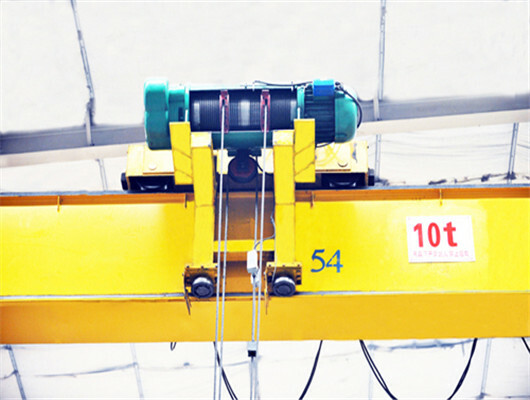 LD electric single girder overhead crane belongs to the light duty crane and often works together with CD1, MD1 and HC type hoists. The electric single crane’s capacity is 1 to 20 tons; the span is 7.5 to 31.5 meters; the working temperature is -25 to 40 degrees. Besides, it also has the higher working class. The cranes have two operation models in ground operation and drivers’ controlling room. According to the clients’ requirements, the users can choose different installation methods which has open and closed operation room. In order to satisfy the users’ choice under different occasions, our designers adopt many advanced technologies. The products lift goods and are widely used in warehouses, factories, and material stocks. 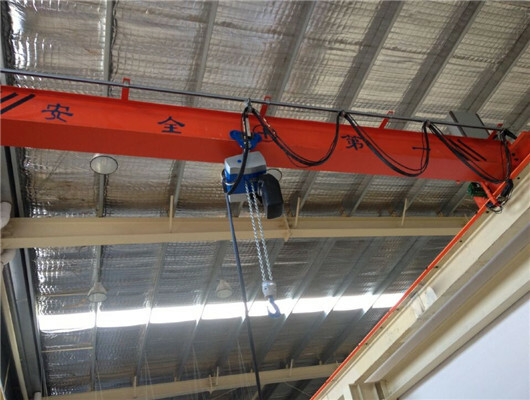 However, for some special environment involving the prohibiting the usage of the combustible and explosives equipment, we recommend that customers buy LB explosion-proof electric single beam overhead crane. 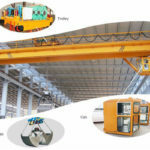 Compared with other single girder overhead cranes, the LX model is the light duty travelling crane with track and often works together with CD1 and MD1 type electric hoists. Especially, the product is suitable for occasions where the height of space on the factory floor is insufficient, which makes the lifting height reach the higher appoint. So it applies to machinery assembling sites and warehouses and uses ground controlling. Compared with LD single-girder bridge crane, LX bridge cranes do not need to be upright, and can reach the cantilever end where it gets closer to the wall. For other aspects, the product is very similar to LD type including the working environment, lifting mechanism, prohibiting occasions. In addition, this product has many advantages of the compact structure, good rigidity, sensitive operation, low noise, no pollution, safety and reliability. If the users want to learn more information about it, you can carefully read the technical specification that helps the clients learn exact parts. 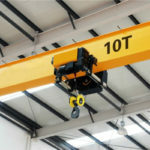 Compared with other single-girder overhead cranes, LDP model is the low clearance light duty lifting equipment. The electric hoists are located in one side of main beam, which increase the service space for hook. Because the advantage can reduce the height of workshop, as a result, the product can save cost. Owing to the standard design, the product widely works together with the CD1 and MD1 type electric hoists as the complete set. The electric single crane’s capacity is 3 to 10 tons; the span is 7.5 to 22.5 meters; the lifting height is 6 to 12 meters; the working temperature is -25 to 40 degrees. Besides, it also has the higher working class. The cranes have two operation models in ground operation and drivers’ controlling room. Of course, the customer can choose the one way or two ways. The products have many advantages of tight structure, strong rigidity, low noise, safety and reliability. According to the product’s feature, it is suitable for the situation where the clearance height of the workshop is low. According to the way of bridge, it is divided into two types with support type and suspension type. The former bridge runs along the crane track on the girder; the latter’s bridge moves along the crane track that hangs under the workshop’s roof rack. 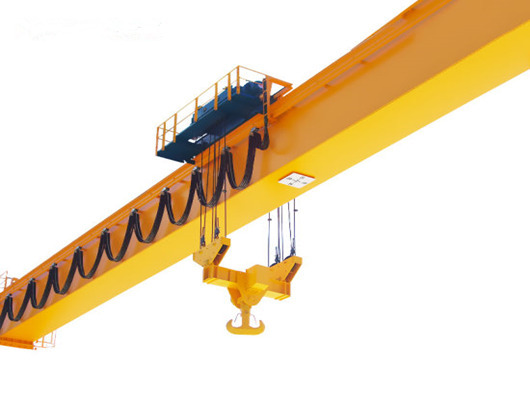 In addition, the single girder overhead cranes are divided into manual and electric type. 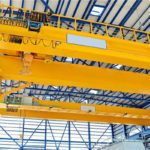 Manual single-girder overhead cranes have lower working speeds and smaller lifting capacity, but their own small masses facilitate the organization of production. As a result, they have low costs. They are suitable for these conditions in the absence of power supplies, and having little requirement for speed and productivity. Manual single-girder bridge cranes adopt manual monorail trolleys as trolley travelling mechanism and chain hoists as lifting mechanisms. The bridges are composed of main beams and end beams. Electric single girder bridge cranes have higher working speed and productivity than manual ones, and they have the large lifting capacity. The electric bridge crane consists of bridges, carts, electric hoists and electrical equipment. 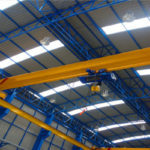 Are you researching for the single girder overhead crane? Our company has operated crane products for several decades. 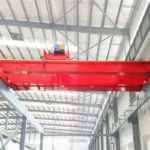 Currently, we can supply customers from all over the world with the following single girder bridge crane equipment: LD type electric crane, LDY type metallurgy crane, LB type explosion-proof crane, LX type electric suspension crane, LDP type partial suspension, LDZ type grab crane, HD type European crane and other bridge cranes. 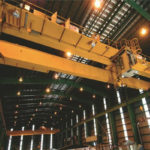 If you want to purchase the double girder overhead cranes, you can visit other websites that has more exact information. If you are interested in our products, please contact us as soon as possible. You can call or email our staff, and leave your main message. We will reply you as soon as possible.